This edition contains 10 of J.S. 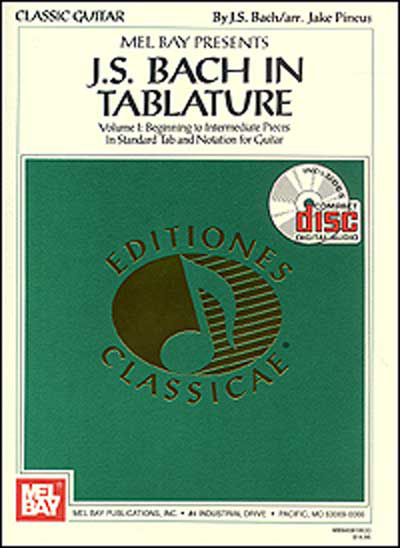 Bach's finest compositions scored in notation and tablature. Works include: Two Part Invention in C Major; Gavotte, from the 3rd Lute Suite; Prelude in D Minor; Bouree in E Minor, from the 1st Lute Suite; and others. All songs from the book are available online at Mel Bay's website.